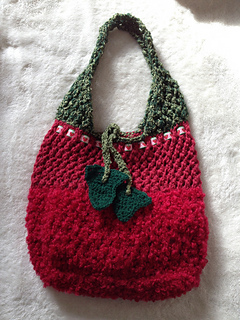 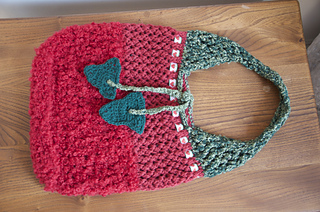 The bag idea was originally starting from a Lion Brand free pattern. 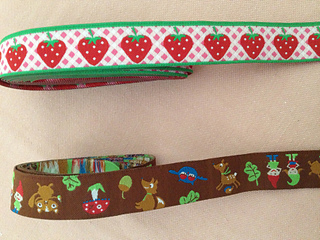 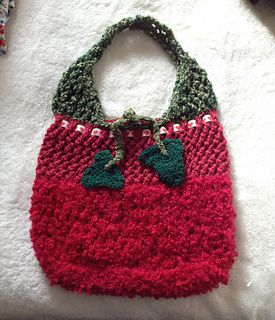 I used a completely different yarn (wool instead of cotton/linen) and colours (mine is a strawberry red and green). 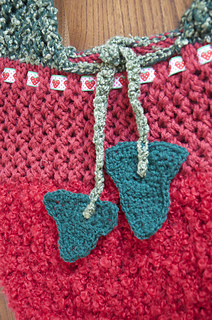 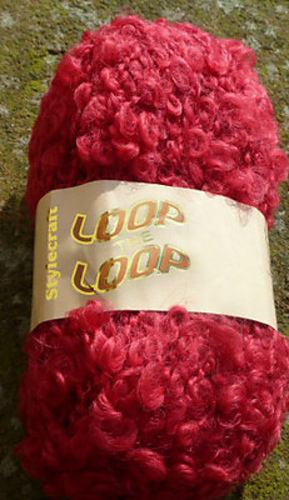 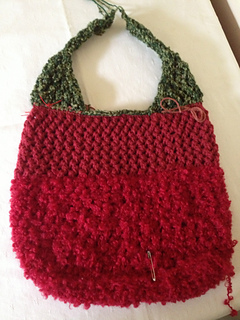 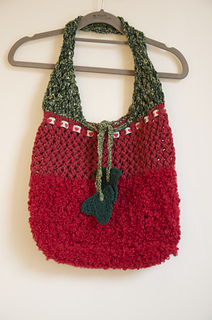 Some sections of the bag have a “sheepy” effect due to the boucle yarn used. 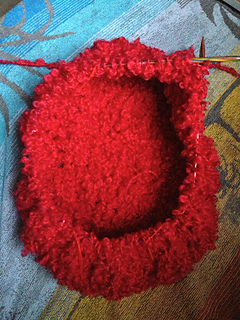 I also changed the number of stitches for the width and slightly shortened the handle.